When you travel with your parents you don’t realise how big a part they play in keeping you safe, fed and watered until you venture out on your own. As much as you should just go with the flow and not worry too much, there’s always stuff to remember like what to pack, how much money to take, what vaccinations will you need etc. etc. Since Mo and I have been together we have had many a situation that has tested us whilst we’ve been away. Some of these situations have made us laugh, made us worry and even made us row (although that’s VERY rare!). And don’t I know it. We’ve tackled all sorts on holiday – unexpected monsoon rain whilst sunning ourselves in the Maldives, battling sickness in Thailand, flying through stormy conditions the day after a plane-weather incident… I really could go on. Mo and I have learnt to see past it all and to just deal with it. Yes it’s annoying, scary, sad – but who cares?? We travel in search of an experience and an experience it usually is! As soon as we arrived in Jakarta, Mo realised he couldn’t find his wallet. We emptied all the bags (and some of the suitcases) and after re-tracing our steps realised it had been left at Duty free back in Abu Dhabi. This is probably the number one situation you need an emergency plan for! I always keep a spare credit card in my bag, away from the others, in the instance that my purse goes missing. It’s also worth keeping a note (a paper one – not a phone one) of emergency numbers in your luggage in case you misplace your phone as well that way if you are in need of help/cash you can contact your loved ones. Because lets be honest, what will it achieve? Step back from the situation, breathe and use that excellent machine in your head to come up with a solution. We were all taught it when we were younger, always treat others the same way you expect to be treated. Don’t throw that out the window just because you’re in a different country. If English isn’t the native language, learn a few words and phrases in whatever is and don’t be shy to use them. Be respectful when taking pictures, using public transport and when visiting sights. If you manage to strike up a conversation, bonus! Every time we have we’ve come away loving our destination so much more. Locals are great sources of information and nothing beats the feeling when you make a new friend. I do say this a lot, but that’s only because I cannot STAND when people are negative and miserable (I know we all have our moments). I really, truly, can’t stress how much I believe that just a simple smile can completely lift your mood, and lift the mood of others too. I mean you know those moments when you make eye contact with a stranger and smile – and they smile back – I literally feel my heart dancing at the thought of how beautiful humanity is and how a small gesture can change your mood (yes I’m soppy like that). 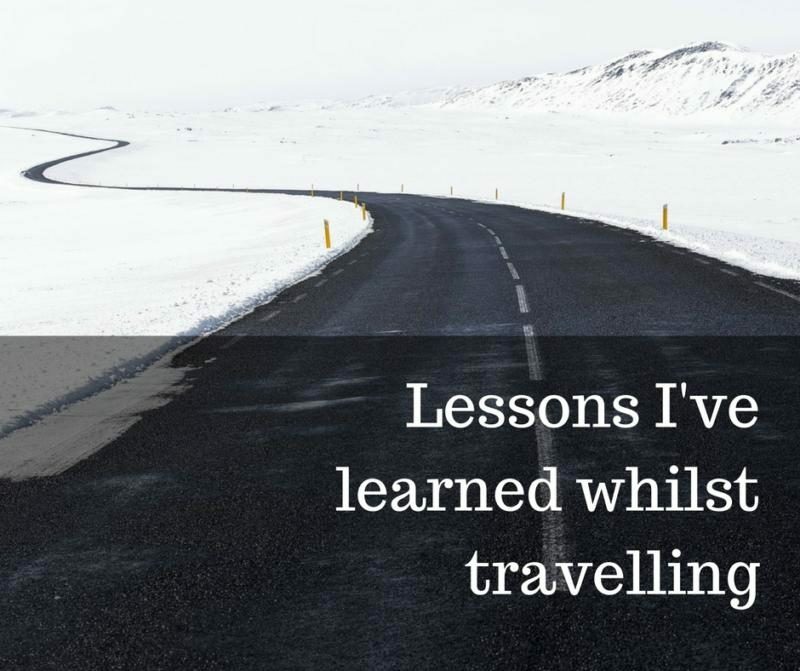 What travel lessons have you learnt? Just pop your post up over the first week of the month (the 1st – 7th July 2016) and add it to the link up widget found on Angie, Jessi, Emma or Nano’s blogs.